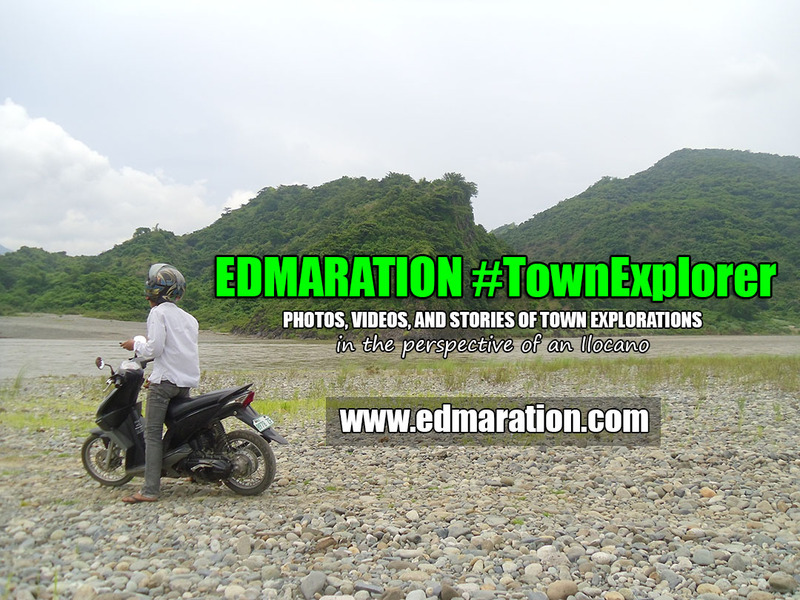 "...it was already almost 10 in the evening but I observed, more people who are hungry are still coming in." Guys hello out there! 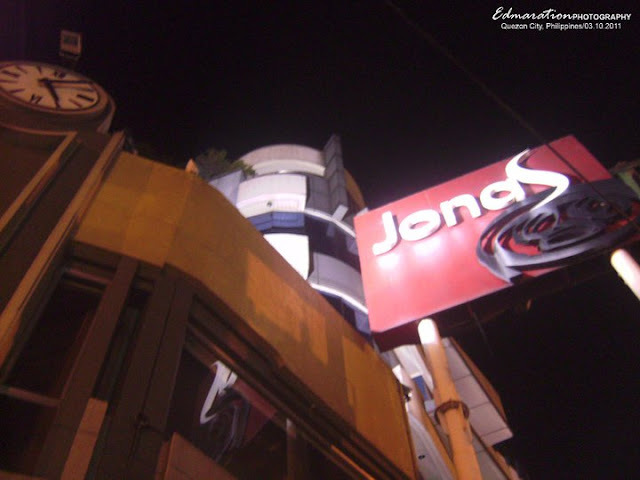 I'm back with this STUFFED TOFU offering of Jona's Resto along Retiro in Mayon, Quezon City! 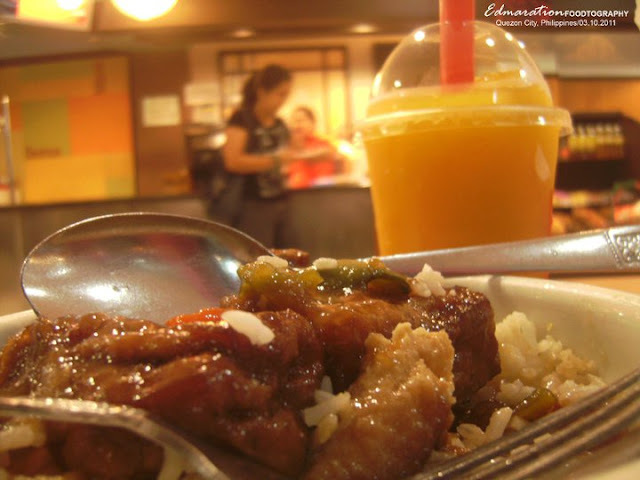 Well, you can buy this food for less than a hundred pesos [about less than 2 USDollars]. I just love what I have eaten. Yepeee! The taste is not OA [overacting]. 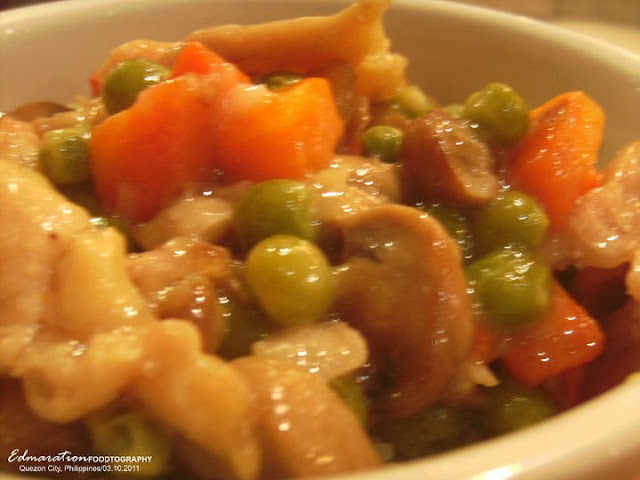 The taste is just simple, but it is perfect in the sense that it is not "nakakasawa." Sorry I don't know the English term for that, it means a kind of "you will crave for more" or kinda "stopping to eat it is a far probability." 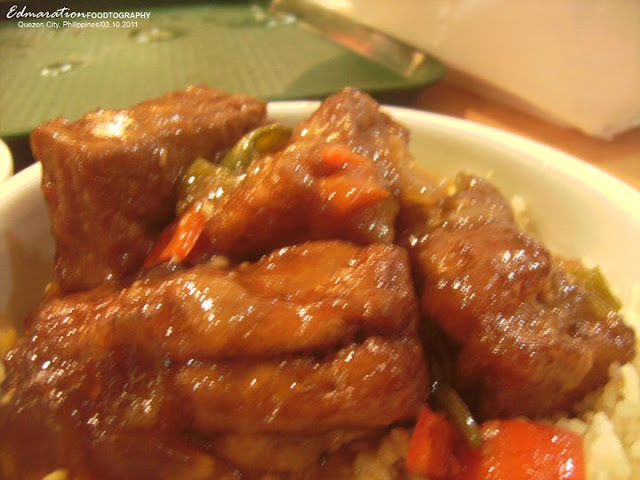 The Tofu within is really gentle and juicy to the extent that my salivary glands was activated that instant! Hmmmm, it smelled good and really delicious! It wasn't too salty, nor too tasteless, the taste is just optimum to relieve your hunger. It was saucy, the sauce completed the gastronomic experience which blend to the taste of the gentle and juicy tofu. The tofu was cut into cubes about a little larger than a match. It was already 9 in the evening when we arrived in this part of Metro Manila. 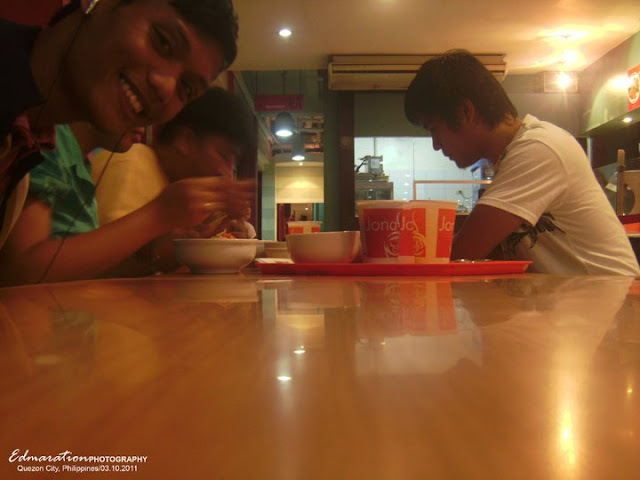 We were so hungry that time after a long long day-drive with a lot of traffic jams and joined rush hour. We were looking for some place to eat. 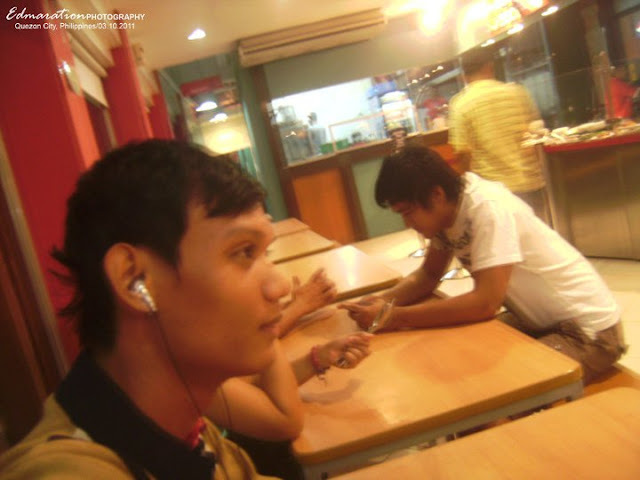 Fastfood chains are everywhere and they have been an eyesore for us. We want to try something. Our driver actually lead us here. There you are! 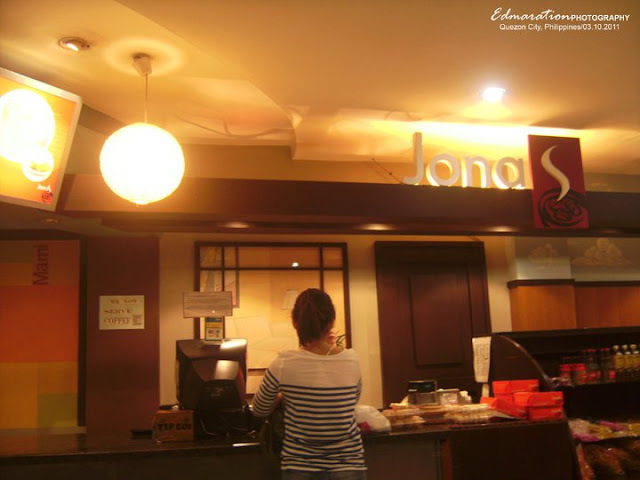 Jonas's Cafe has several branches in Metro Manila. I believe there are more than 10. 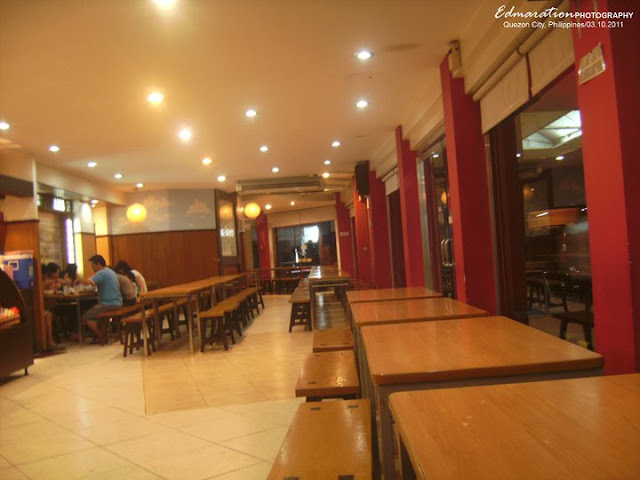 This branch is their main branch in Mayon, QC. Anyway if you are driving in Retiro at Mayon span, you won't get lost because the resto signboard is high enough to be seen from afar. 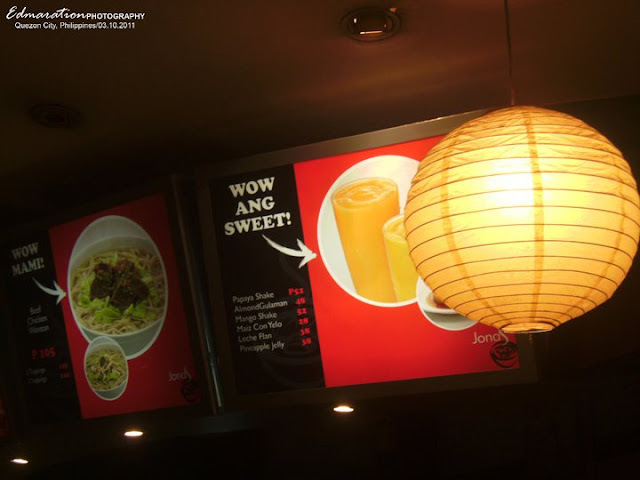 WOW and SWEET is the dessert offering of Jona's which include Papaya Shake, Almond Gulaman, Mango Shake, Mais con Yelo, Leche Plan and Pineapple Jelly. I just tried the Mango Shake but sorry guys, I wasn't satisfied, it lacks the taste I am looking for. This is how their Chicken Mushroom looks like. Sorry guys but I wasn't able to taste this. It was ordered by someone who was with me during the journey. Well, it is only the appearance that I can share with you. I can not make a complete food review this time about this chicken mushroom folks! Anyway, I believe this was delicious because my friend ate it all and I can see her satisfaction. There you are, it was already almost 10 in the evening but I observed, more people who are hungry are still coming in. I wasn't aware if this restaurant is 24 hours in service. Maybe next time I'll be asking for it.